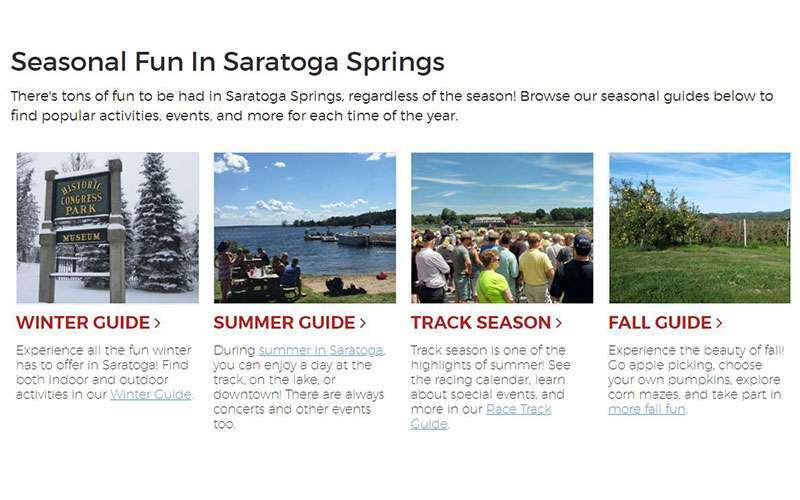 Your online guide to the Saratoga Springs area! 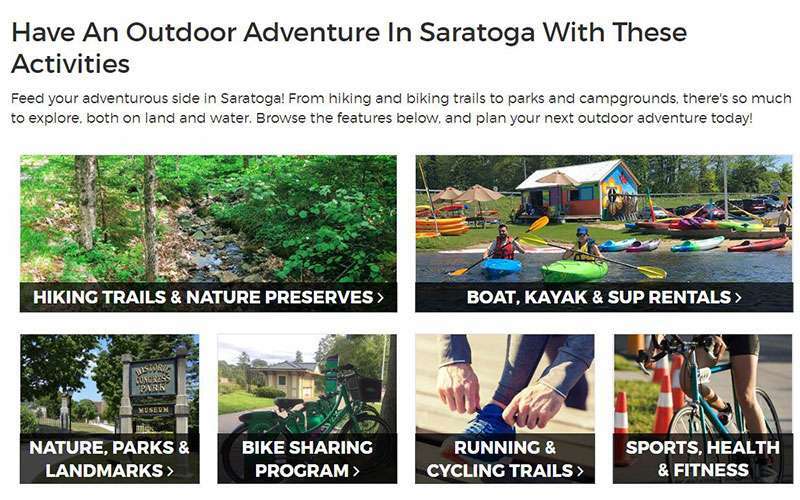 The City of Saratoga Springs is an amazing place to visit in New York's Capital Region. 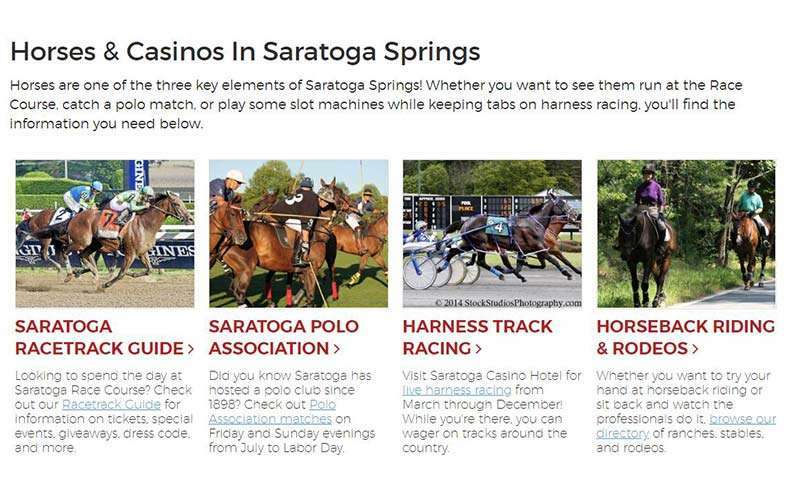 From the unique mineral springs to the historic Saratoga Race Course, there is so much to do and see during your trip to the area. 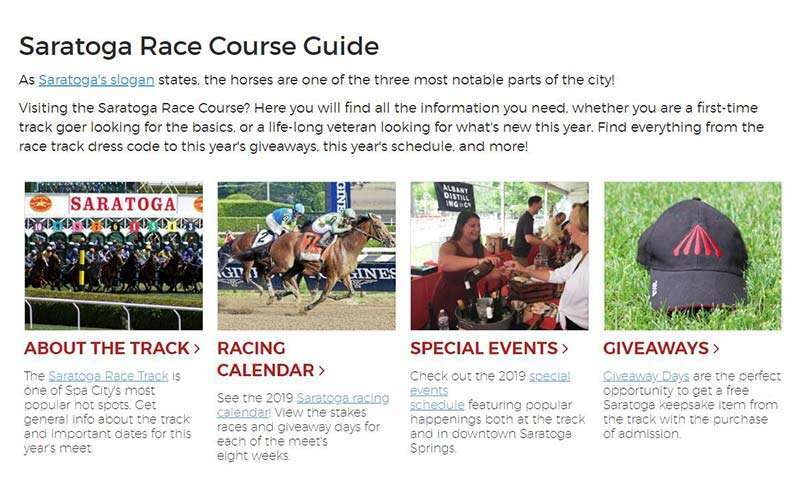 To help you plan the perfect day in Saratoga, we've gathered together a wide range of useful information right here on Saratoga.com. 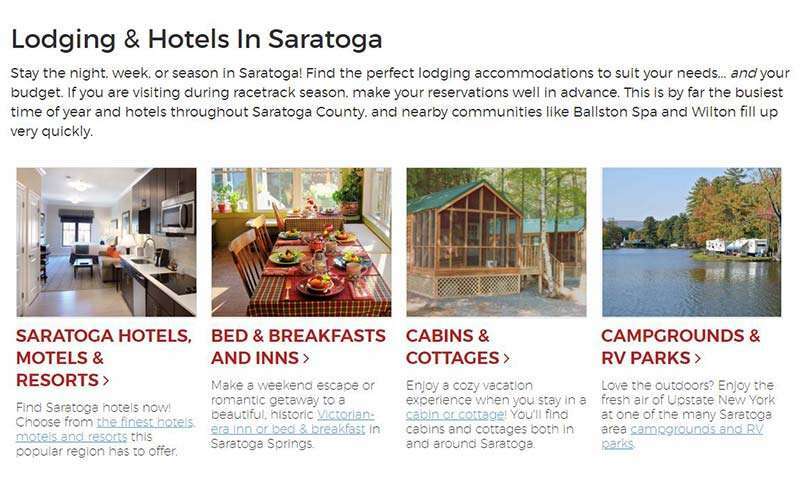 Looking for local lodging and restaurants? 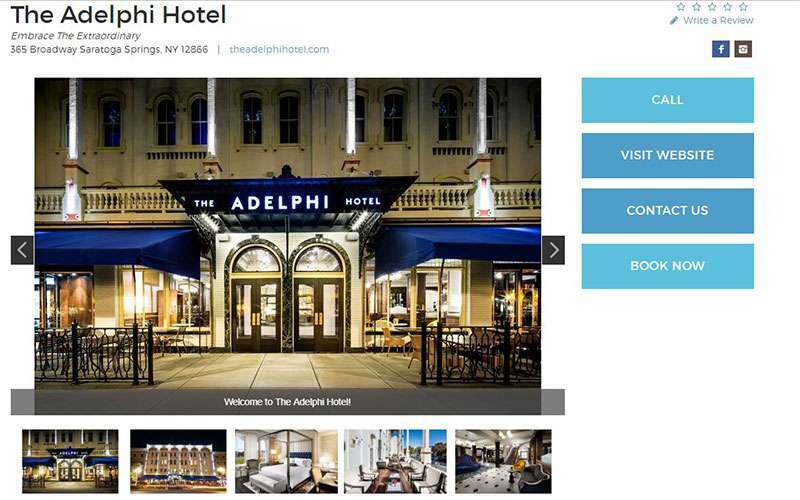 We feature directories of both that showcase what the region has to offer. If you're searching for fun activities and things to do throughout the year, our online travel guide can assist with that too. 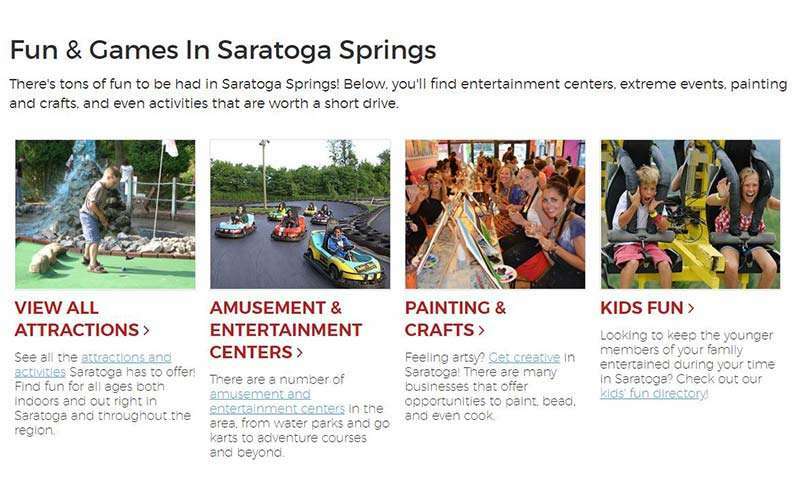 You'll find details about the track, Saratoga Performing Arts Center, popular attractions, parks, shopping hotspots, and much more. 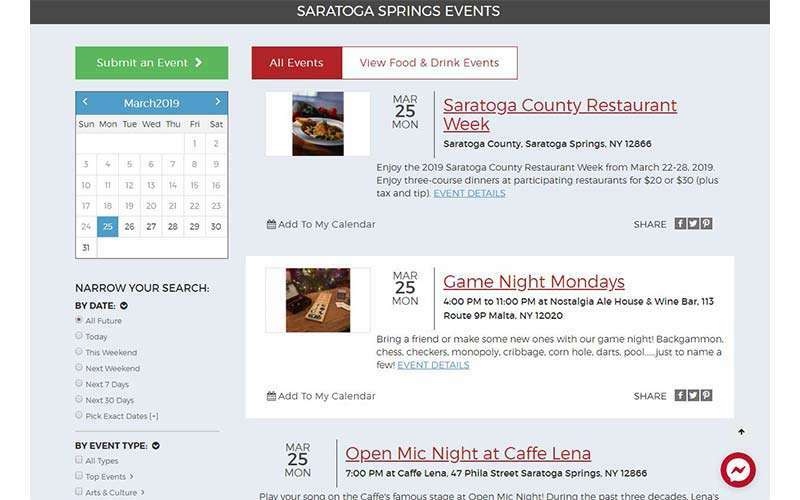 Plus, our regional events calendar includes events happening in Saratoga, Ballston Spa, Malta, Greenwich, and other nearby communities. 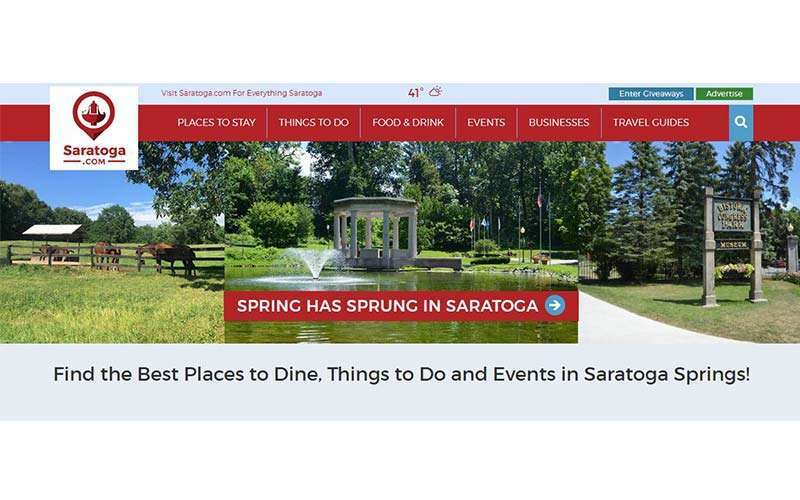 Let Saratoga.com be your guide to this fantastic region in Upstate NY! 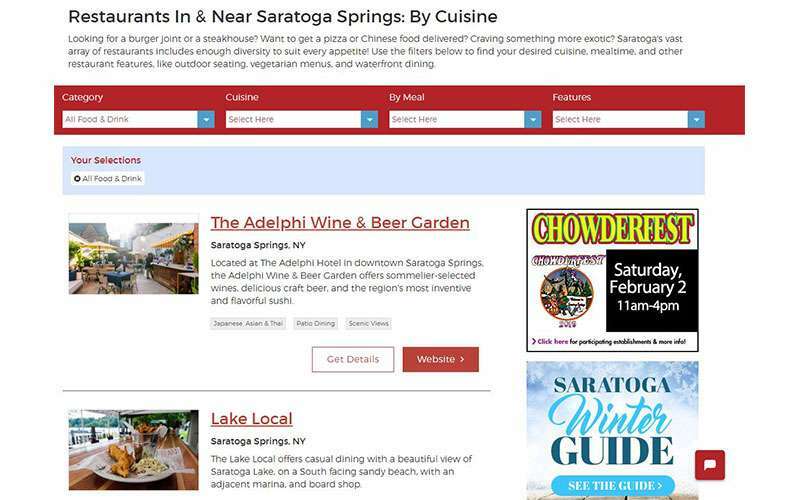 Saratoga.com can also help your local business get found online. 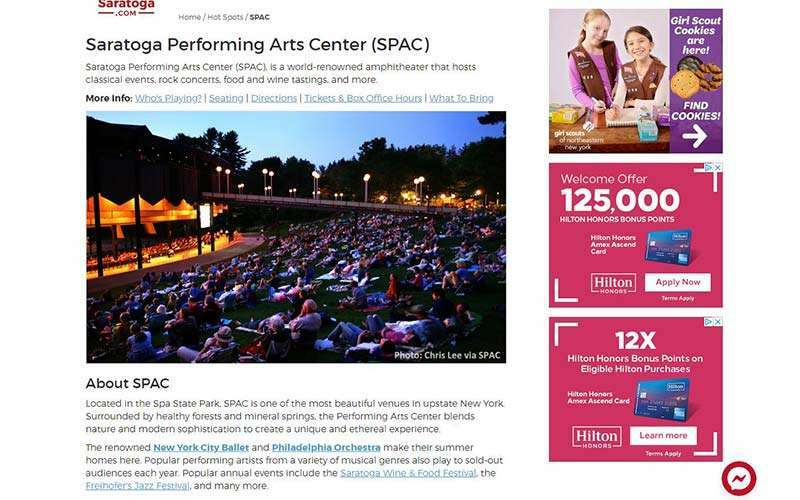 We offer a variety of advertising packages to meet your business' specific needs and goals. Learn more by visiting our website today!